After seeing these guys perform at the ‘This Feeling Big In 2019’ gig on Friday, we couldn’t get enough. That’s why we decided that we wanted to get to know them a little better. If you get chance to see Social Room live, you won’t forget it. Actually, make it happen. You won’t regret it. There’s something pretty special about these lads with their strong rock vocals mixed with the electric sound guitar. There’s no doubt that they’re going to be huge, soon. Me (Matty) and Potts (Adam Potts ) have been friends for ages. We decided to start a band after Potts came back from Leeds uni. We had both previously been in bands but didn’t get anywhere. When he came back he gave me a call and we started working on some songs together, recording and mixing them at his house. We managed to get one onto BBC introducing Newcastle. After that, we decided we wanted to get a band together so we could play the tunes live. Alex and Simon joined then after a few changes to the line up then Lenny and Tim followed. 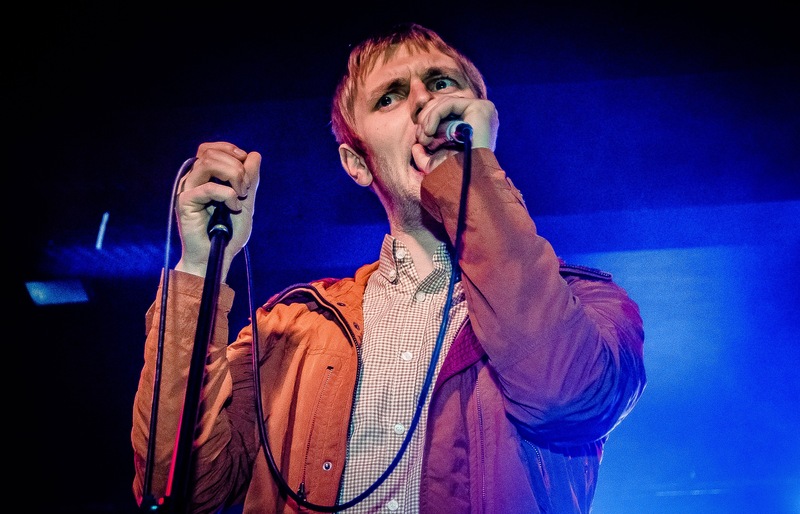 We saw you perform at Night & Day Cafe in Manchester with This Feeling at the weekend, how was the night for you? What was your biggest highlight from the night? What a night, great show and a great crowd! We got talking to some people after the show that had travelled from Blackpool, Darlington and a few other places to see us, so that’s got to be our highlight, finding out our fan base is growing. Brightstar’ was awarded ‘single of the week’ on Gordon Smart’s Radio X show last year. Has the overall reaction been so great and positive? What’s the inspiration for the song? The reaction has been massive and we can’t thank This Feeling enough for putting us forward for that and Gordan Smart / Radio X for giving it a spin. The inspiration behind the song was about the journey of being in a band. It’s hard work just getting 6 people into a room once a week to practice never mind everything else that goes with it. So the lyrics “look at how far we’ve come now all together but it’s not over yet we’ve got a long long way to go” was just giving us a pat on the back but also a kick in the arse to say it’s not over yet. Also just before I wrote this song I was given the job of letting our old drummer go as we wanted Tim in the band, the lyrics “There’s a place in my heart for those of you we’ll have to leave behind but there’s only space for the brightest stars to shine” was referencing that situation. We heard that music legend Dave Stewart helped with your debut EP “Let’s Talk”, how did that opportunity come about? We were asked to play his 65th birthday party. He picked three local bands to open the show at the Sunderland empire. He loved our songs and offered to produce our first EP. He’s been a massive help to us ever since. Top top bloke can’t thank him enough!!! What’s your favourite part of being in Social Room? Playing live. No better feeling then when a crowd is singing your song back to you. The Libertines made me want to be in a band, so they have to get a mention but we love the Stone Roses, Smiths , Ocean Colour Scene, Arctic Monkeys and more recently the DMAs. What’s your song writing process – Lyrics or music first? It can come both ways really, music first or lyrics. I ( Matty) come up with the bones of the song on acoustic with all the lyrics then take that into the practice room where we all work on it to come up with the finished product. What advice would you give to someone looking to break into the music industry? Prepare yourself for the best / hardest job on the planet. Go on, give them a listen. In the meantime, might as well stock up on your gig essentials for when you go to see Social Room. Check out our latest arrivals.